We work mostly with mixed metals, here with sterling silver and 14k gold fill, the recessed parts oxidized black with facetted cubic zirconia in one ring. We offer a selection of stones including Peridot, Garnet, Topaz, Citrine, Amethyst, Moonstone, Opal, Sapphire, Ruby and Diamond. We also offer designs in solid 14k yellow and/or white gold. 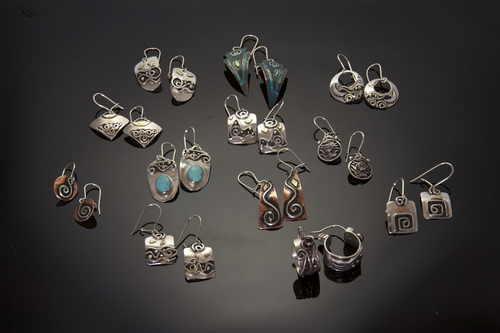 These is only a small selection of our earrings made with silver, silver/gold or copper/silver/brass. 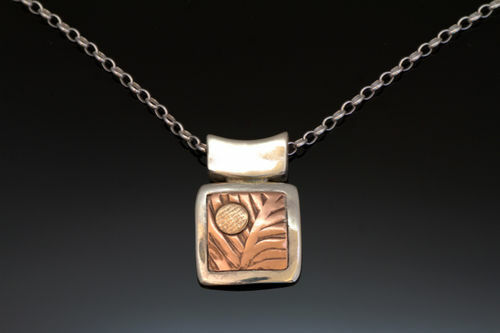 This necklace is made with sterling silver, fern embossed copper and 14k gold fill circle. We also make pendants with sterling silver and 14k gold fill and black patina. 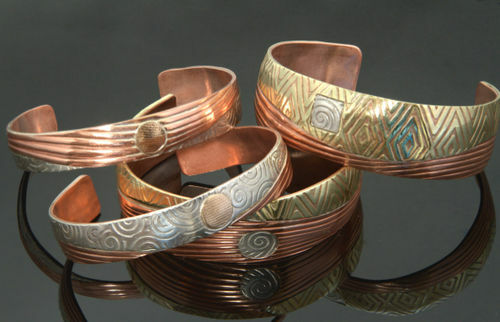 Copper bracelets made with layers and combinations of copper, sterling silver, 14k gold fill or brass. 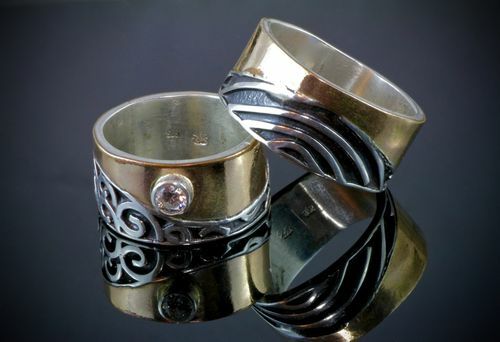 The metals are embossed with spirals, diamond shapes and waves before the layers are fused. 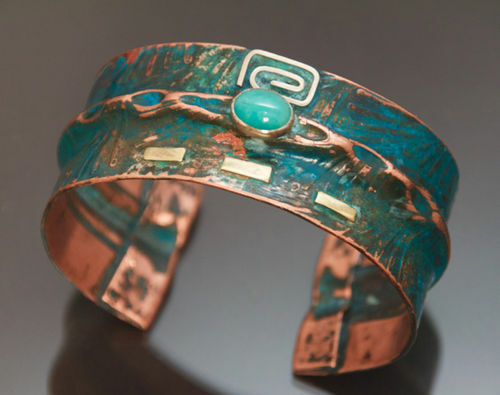 A combination of copper, silver and brass creates this natural looking copper bracelet with amazonite and blue patina. This particular style is available as bracelets with or without stones or as earrings. Saturdays you will find us on the Market in Ganges. Otherwise please call for Appointment.